Kampar has really developed by leaps and bounds since I last explored the town. This is thanks to Universiti Tunku Abdul Rahman (UTAR) which created a new township. However, when I am in Kampar, I eat like the locals. 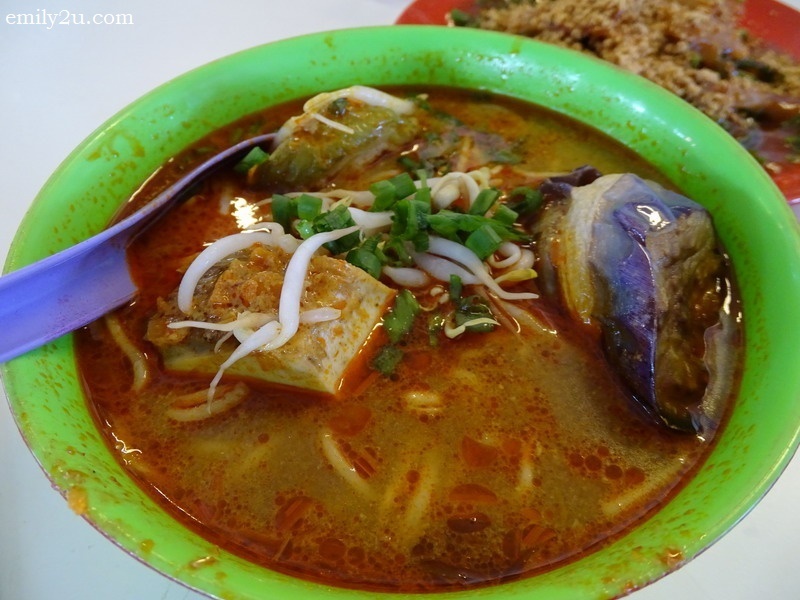 No doubt, there are many new eateries established in the newer section of Kampar, but I prefer the old and trusted, such as Kam Ling and Foong Mun Kee. 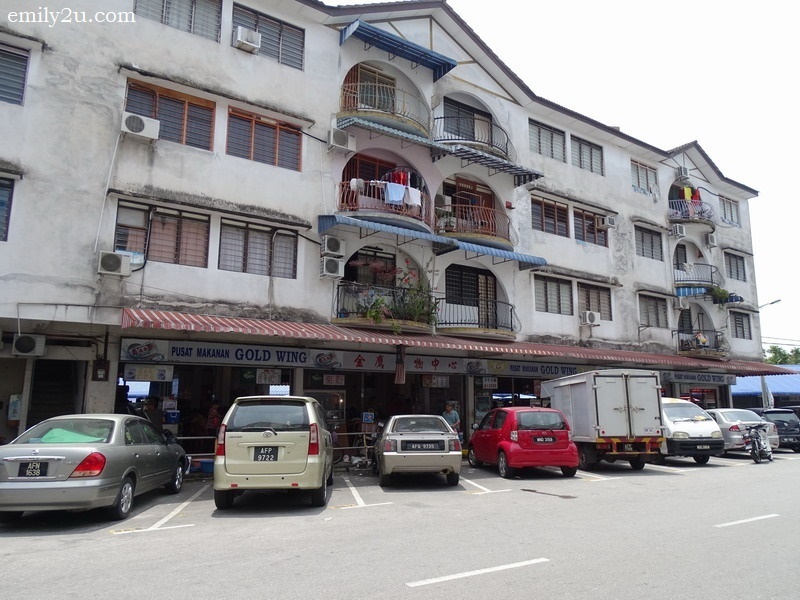 When I was in Kampar the other day, I went to Pusat Makanan Gold Wing. Actually, the raw fish chicken porridge here is very famous. I didn’t notice it when I was there but then again, I’m Cantonese, so I only eat porridge when I’m unwell. The food is quite pricey already no thanks to the “foreigners”. Here’s sharing some photos. Had to keep my lens down as the coffee shop was packed and I didn’t want to intrude on strangers enjoying their meal with unsolicited photography. Add: Jalan Baru, Taman Tasik Emas, 31900 Kampar, Perak. 12 Responses for "Pusat Makanan Gold Wing, Kampar"
Hmmm. Interesting dishes. Never really had Cuttlefish. Guess there is a first for everything! The place seems reasonable too! On the day I decided to be on diet. You tempt me with Curry mee. Look delicious. The soup noodles look tasty though. Want to give it a try. This looks so tasty, you just made me hungry! I need to give those dishes a try! such yummy looking food you had over there, so hungry reading your post at this hour lol. Need to make a stop here! Wow! these are so interesting and look so yummy foods. 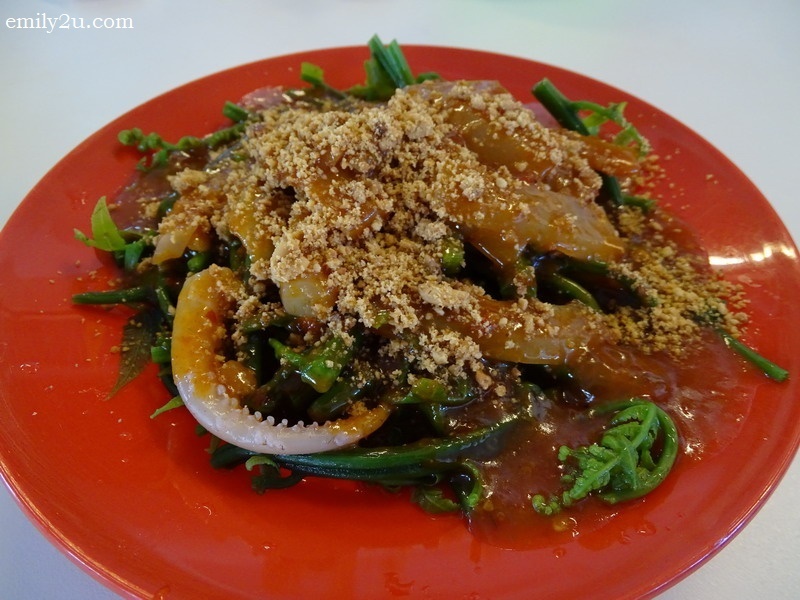 Especially this Cuttlefish with fern shoots, I would love to try this. They had the fried fish ball there! 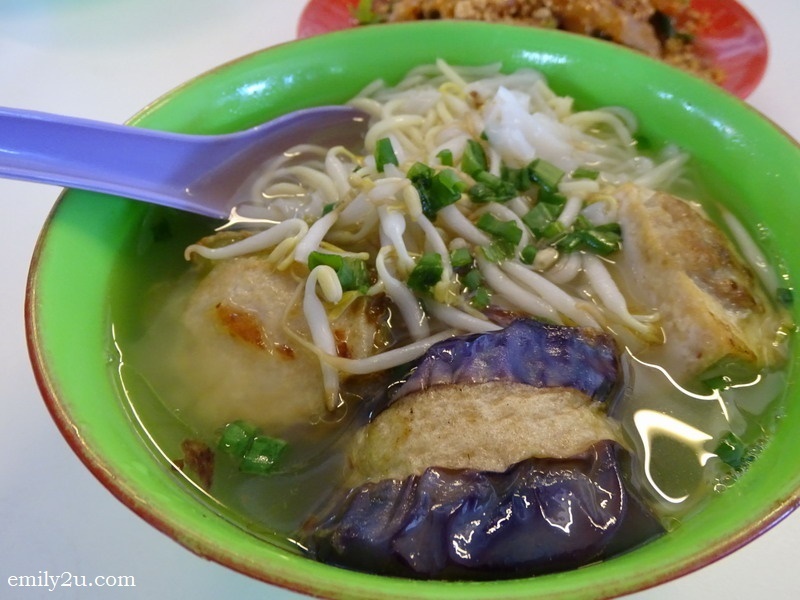 I always go to this 36 stall and the wan tan mee is quite nice! The cuttlefish dish looks savory and yummy. I’ve never tried fern shoot before so I’m curious to try this. Everything is my favorite there and reading it at this hour, i truly wrong… is 1.24am here..omg! !